Although known worldwide as the Home of Golf, St Andrews was also the ecclesiastical powerhouse in Scotland for centuries prior to the Reformation. Author Gregor Stewart takes the reader on a fascinating journey through the towns past, unearthing tales of double crossing and infighting while introducing the reader to the nefarious characters who were jostling for power. He examines connections between St Andrews and the order of the Knights of St John, who owned buildings in the town, and James Gregory, who laid a meridian line from his laboratory that pre-dates Greenwich by 200 years and is now widely credited as the place where time began. The book also explores the macabre: St Andrews was a centre for execution, using an early version of the guillotine, and there are descriptions of the fates of those accused of witchcraft and heresy. 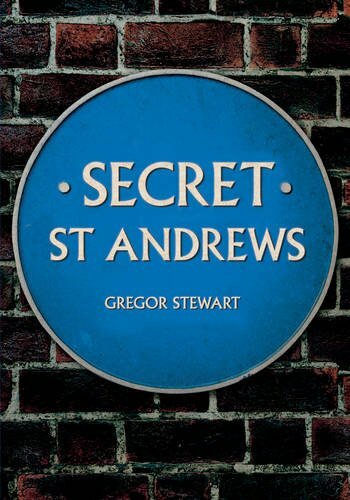 Secret St Andrews goes beneath the surface of this attractive university town, revealing a lesser-known and less savoury history.